Made with a highly breathable, stretchy synthetic back for all day wear. Coupled with elasticized wrist grips, and tough palm and finger surfaces that have a unique “grippy” texture, these women's gardening gloves are perfect for messy garden work for 5 minutes or 5 hours. They are very light in weight – in fact you’ll hardly know you have them on after a while. A great alternative to those poorly made ones at the garden center. Sized to fit women, they will provide excellent service for a very long time. Denise E Curtain, 9/11/2018 I'm not a landscaper I am a homeowner who does custodial yard work and street sweeping. I made this purchase because the gloves are for ladies and made to fit our hands better than the square cut work gloves. They are light weight, fit snugly and allow your fingers to move nimbly. Starting just a few years ago, when I retired, I did yard work more often. Neighbors would tell me, "you should wear a face mask, or wear a hat, or goggles". So, I've been building a yard work uniform of protective gear. I look the part of a grounds keeper now. My neighbors pitch in to maintain the sidewalk after I've swept up with my coconut broom. I also purchased it from Garrett Wade. Protect your hands too, by purchasing these gloves. steve anderson, 5/19/2018 Great gloves. I had some old ones and I ripped 2 of the finders on a pruner. I was able to sew it back together and it is holding. That mean quality materials. Carole Connet, 1/2/2018 The best garden gloves I've every had. Comfortable, lightweight yet sturdy. Made for women. Reinforced fingertips. Brown and black color doesn't show dirt. Simone P Javaher, 7/25/2017 This has the most versatility I've ever seen from a sprinkler. I have a sloped yard and this can be adjusted to fit almost any watering pattern. The quick release valve makes it even better when I want to switch to a hand sprayer. The reach of the water depends on your water pressure. Be sure to read instructions. Simone P Javaher, 7/25/2017 These are the best gloves I've had. Fingertips are reinforced and the palm area is strong. Still, the gloves are comfortable because the upper fabric is lightweight. I'd probably go through 4 cheaper ones before I wore through these (of course these are more pricey). Janis Miller, 5/26/2017 These make the pleasures of gardening so much greater! VERY comfortable! Excellent quality. Madaline Duran, 5/22/2017 Love these gloves. good fit, well made, good for pulling weeds, protecting hands from thorns, light enough for delicate work, strong enough to do the job. So glad they are for women! 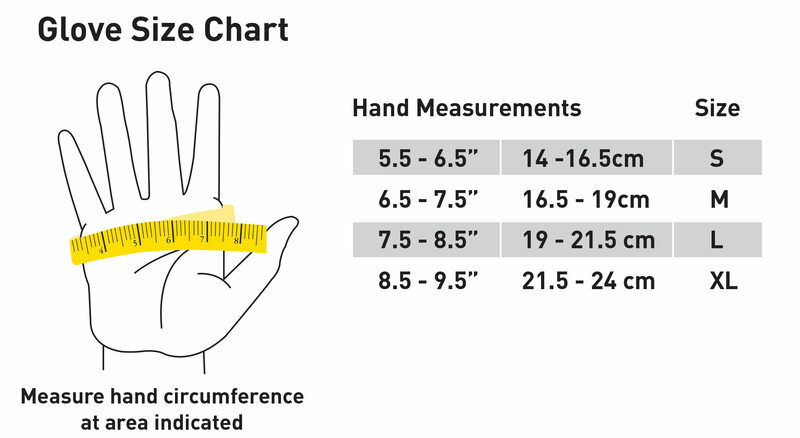 Men hear this, if you didn't have too big of hands you could use them too. Karen Black, 5/16/2017 Lightweight yet sturdy, I believe that these gloves will last throughout the summer. Kathy, 5/8/2017 Sturdy, but flexible, and much better quality than I could find in brick & mortar stores. And available in the hard-to-find women's large size. A good deal at the regular price, but a real find at the reduced price! Cliff Cobert, 5/7/2017 I bought these for my wife who does not like to wear leather gloves to protect her hands while working in the yard. She has tried the lightweight cotton gloves from the home enter, but she wears out the finger tips in just a few days. She has worn these for a few days now and just loves them. I ordered four more pairs for her. LM, 4/16/2017 These are very light and comfortable. No weird chemical smell like the gloves from the hardware stores. It's still too early in the spring to have put them to much use, but they seem to be up for summer when it gets here (assuming it ever does this year). Mary Young Tracy, 4/4/2017 I liked the gloves so much that I called back and ordered 10 more pair. The great thing was they were 50 percent off. They do just what is advertised and it will interesting to see how well the will wish and dry. Not heavy and comfortable fit. Keith, 5/9/2016 Good comfortable fit.